If you’re a new client of ours, or you’re waiting to see us, or perhaps you’re thinking of coming to see us, this might be a useful read. Our consults for dogs with issues around other dogs or people are held at our field at Priory Farm, it’s nice and secluded, fenced in, and it’s just myself (Penel) and Laura. Sometimes we might have an assistant too, but usually it’s just us. 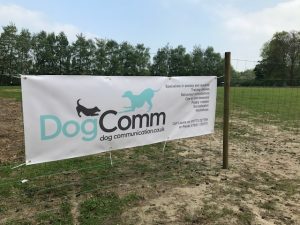 When you arrive, we’ll have a walk around the field with you and your dog, and chat through the issues you’re having problems with. 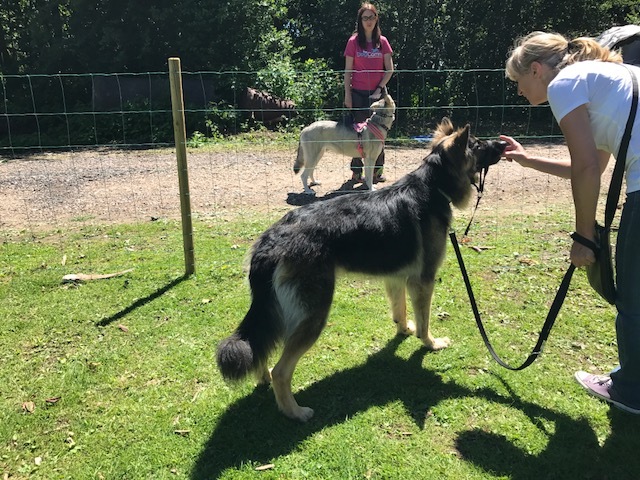 We will have already read through your questionnaire and vet referral form, so we will talk through any medical issues your dog might have and what impact this might be having on their behaviour. We’ll chat through when you think things changed, and why you feel that things changed, and also what you’d like to achieve with your dog. First consults for one dog are always 90 minutes, any less than this isn’t enough time, and any more is too long and tiring for you and your dog. It’s important to know that at the first consult we want to get to know you and your dog, and we want you both to feel comfortable, safe, and relaxed. We aren’t trying to fix your dog in one session (sadly we can’t do magic! ), we’re getting to the root causes of the behaviours (and emotions), and then together we can start to plan how we’re going to change those behaviours (and emotions). Nothing bad is going to happen (ever) with us, as we don’t punish or use any kind of aversives. 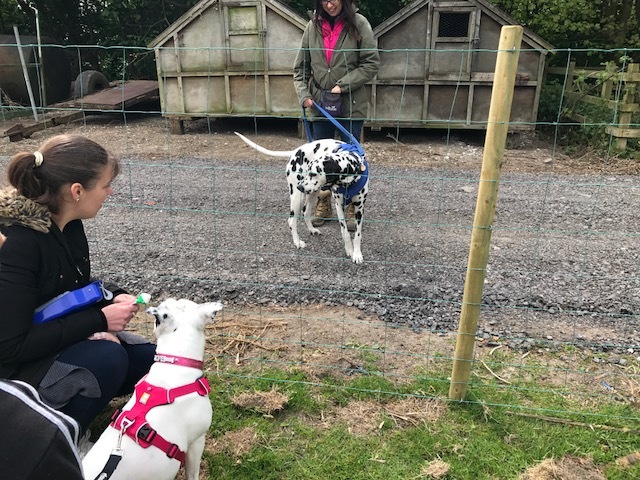 No one is going to raise their voice or get cross, and all our clients report to us that their dog absolutely loves coming to ‘the magic field’ where things are happy, relaxed and safe for them. 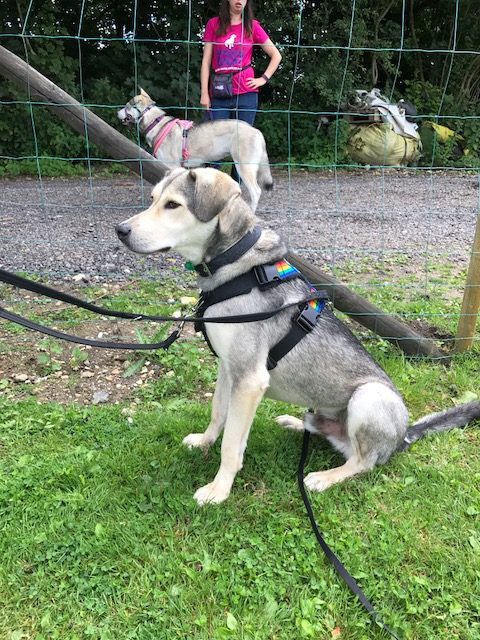 When we get our dogs out to help with the assessment process, they are always on the other side of the fence, and we judge, from your dog’s body language, how far away they need to be to stay comfortable. So for example if your dog is really anxious, we might stay 100 feet away, if your dog is really frustrated, then we might approach a lot closer. One of us is always with you, so you aren’t trying to figure this out on your own, and we’re continuously explaining to you what we’re observing and explaining your dog’s body language and communications. Lots of people worry that their dog will be the ‘worst’ we’ve ever seen. I can only assure you that we see about 100 dogs a year, and every single one of them is different. Every treatment plan is tailored to your dog and their individual needs, and this is all written up for you in our report, which we also copy to your vet as we like everyone involved to be on the same page. 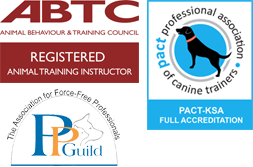 Some dogs are suited to coming to our classes, others are not, so with them we’d do one to one sessions. Some dogs vastly improve within a month, others take longer. It all depends on so many variables, which will all be explained to you at the consult. After the consult, we’re always contactable by phone or email, and most of the dogs come to follow up classes or one to one sessions. We never just leave you to get on with it on your own. We hope that you will feel reassured that you are amongst people who really do understand how you are feeling, and we can help.